1 Njik`a mbu bakala ba dumbi Ngondo, onyola njé ? Njik`a mbu pe e timbino nde ? 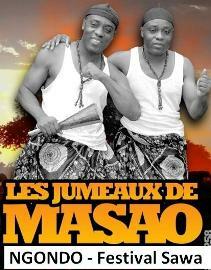 2 Myango mwa kwedi sango Douala Manga Bell? Tet`ekombo nye nde nje wenge ? 3 Bena ba bele nja bana ba sawa wenge? A l’occasion de la sortie officielle de mon ouvrage intitulé « AU FIL DU WOURI », vous êtes convié(s) à une Rencontre autour d’un verre. 7 RUE DES CARMES 75005 PARIS, Métro MAUBERT MUTUALITE ligne 10.
j`ai urgement besoin du contact direct de Longuè Longuè Simon ou tout au moins une piste. A new children`s book is about to be released by Booksurge of Amazon.com. "Kathy and Brianna learn to speak Duala" by Anne-Marie Moukala-Cadet D.O, Illustrated by Judy Dosh. The book is mainly a vocabulary book in Duala - English. It is also a story book with great illustrations. This book is targeted mainly to children and also to all those who always wanted to learn how to speak Duala but couldn`t. This is a very easy book to read. It is a bilingual book, Duala-English. It will be available in June 2007 at Amazon.com.